John Paul always prayed hard to Our Lady of Manaoag, in hopes of meeting his soul mate. He was sure someone out there was destined for him, so he patiently waited. Then, one day, he saw Desiree in a church. Three years already passed since the two of them were introduced by a high school friend. After that encounter, John Paul decided to send Desiree a message on Friendster. They became friends eventually. Things weren’t that easy for them at first, though. John Paul was studying in UST that time, so he could only be in Olongapo on weekends. But of course, he made the most of his every stay there. He made sure to always visit Desiree at the radio station, DWOK FM, where she had been working as a DJ. Yet, they still made things work. Desiree was John Paul’s answered prayer, after all. It was in September 2017 when John Paul finally proposed to Desiree. It took place during The Color Run by UNICEF. Coincidentally, that day also marked their 10th year as a couple. Planning the said proposal wasn’t that difficult for John Paul. He wanted the proposal to happen at a running event, since they had been running together since 2014. 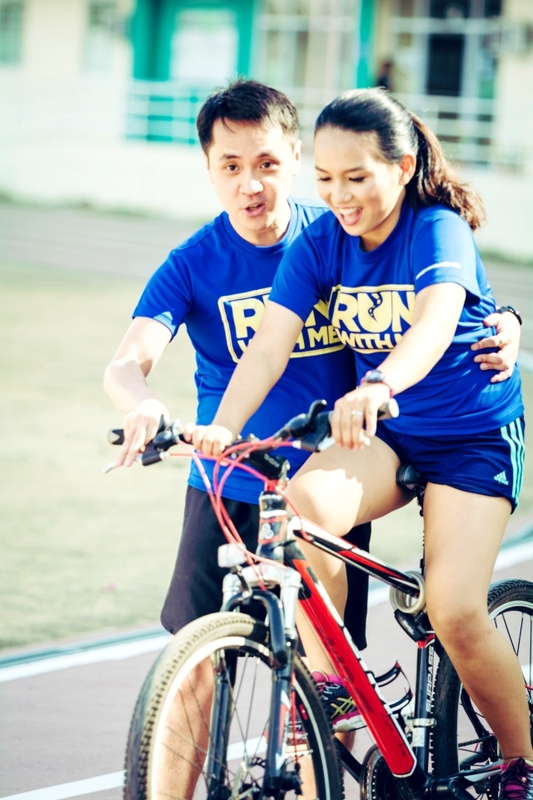 He had already completed several races with RunRio, so he was able to easily set a meeting with them at their HQ in Ortigas to plan the whole thing. Anne Curtis also thought it would be perfect for her campaign with Dream Machine, which was all about making dreams come true, so she agreed to play along. The night before the proposal, John Paul was nervous. He couldn’t sleep. He was also worried about the weather. It was raining so hard because there was a typhoon. Good thing, the weather seemed to have cooperated. When they reached the venue on the day of the race, the was no cloud in sight. It was a miracle, he thought. However, Desiree suddenly had a tantrum. She no longer wanted to finish the run. Of course, John Paul did his best to calm her down. Then, instead of being pissed off, he simply looked at the brighter side of things: at least she wasn’t aware of what was going to happen. Yet, that didn’t change the fact that John Paul was so nervous and he, in fact, grew even more nervous as they passed by more kilometer markers. After the race, a program took place at the concert grounds. Part of this program was a raffle draw. Finally, it was the time for the proposal. Eruption announced the race bib number of the last winner and asked the person to come up on stage: 5-7-3-1-7. Desiree was ecstatic, since it was hers. She ran up to the stage to claim her prize. She also asked for a group photo with the celebrities. However, when she was not allowed to immediately leave the stage after. Instead, John Paul, who was just behind her, was given a microphone and started speaking. It was time for him to say his piece. Desiree was already crying and was even surprised when he finally brought out the ring. She could not answer at first, thought. Intead, she just nodded. Eventually, he put the ring on her finger. “She said YES!” Eruption excitedly shared to the crowd. Everyone was cheering; the sound of their applause was deafening. Then, Anne Curtis also went up the stage to catch up with them. John Paul thanked her, and they had a quick photo op. 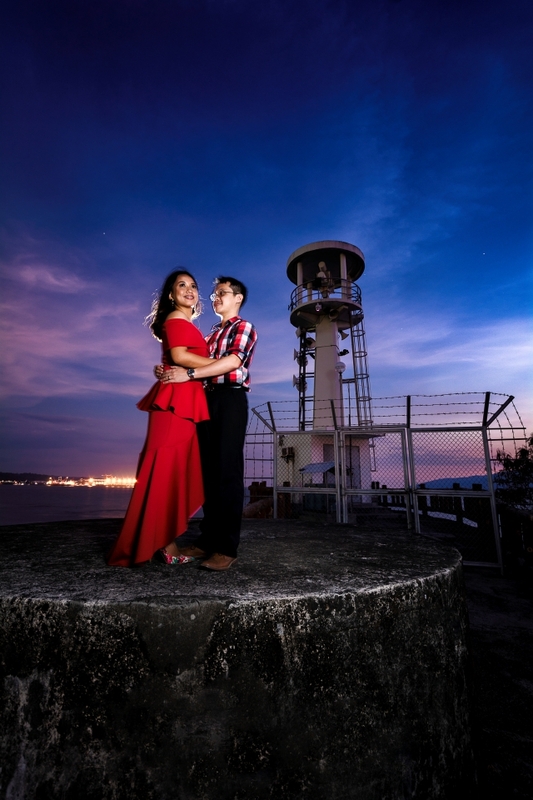 Recently, the couple had their pre-wedding shoot in Olongapo, where they both live. They got the prenup session for free after Desiree had won a contest. They wanted their photos to reflect their personalities and experiences. 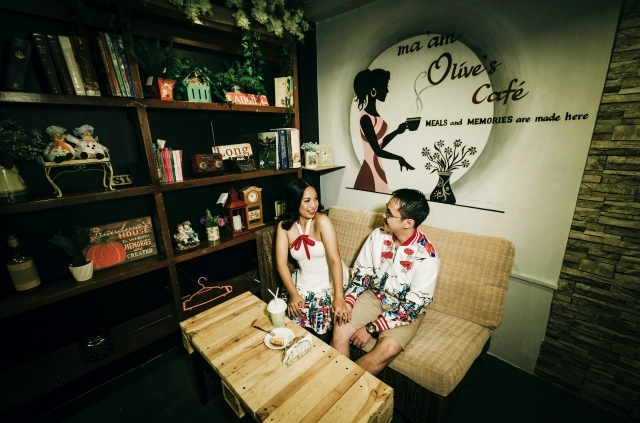 The photos taken at the coffee shop, for instance, were meant to mirror their love for food and how laid-back they were. They also wanted to show how much they appreciated every moment spent together through those photos. Meanwhile, their photos at the sports complex represent their sporty and competitive side. They had been running together for years and during those times, so this activity has already been close to their hearts. 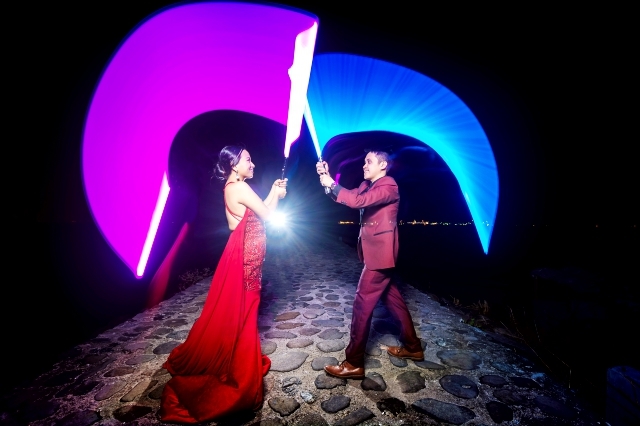 As for the Light Saber, it was meant to show their fondness of Star Wars. It was also to reflect how they fought sometimes (and reconciled before the end of the day). 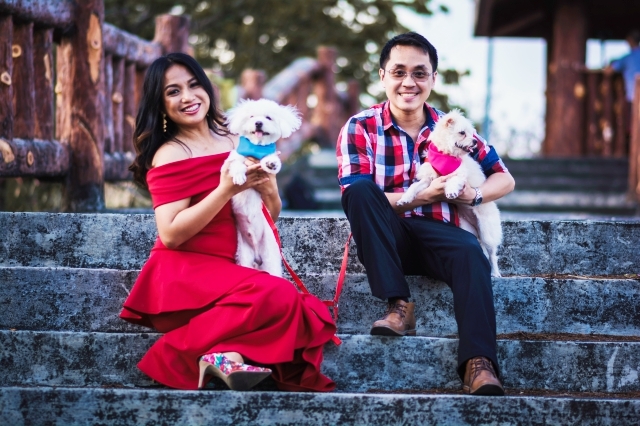 Their Maltese babies Chewy and Twinkle (both names were inspired by Star Wars), also appeared in some of their photos. 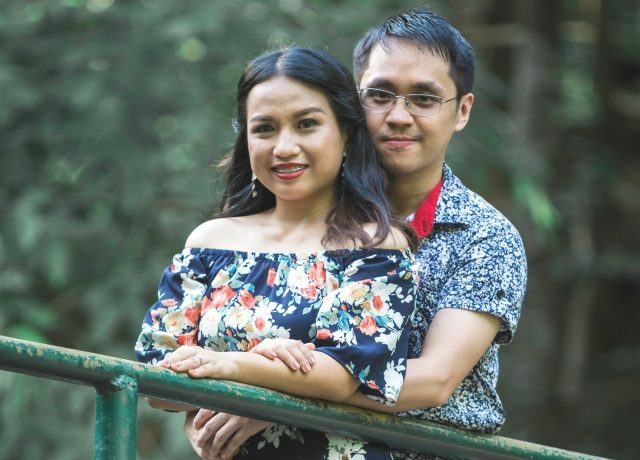 They explored the forest trails of Pamulaklakin to symbolize their pursuit of adventure and how open they were to try new things–something that contributed a lot to their growth as a couple and as individuals. 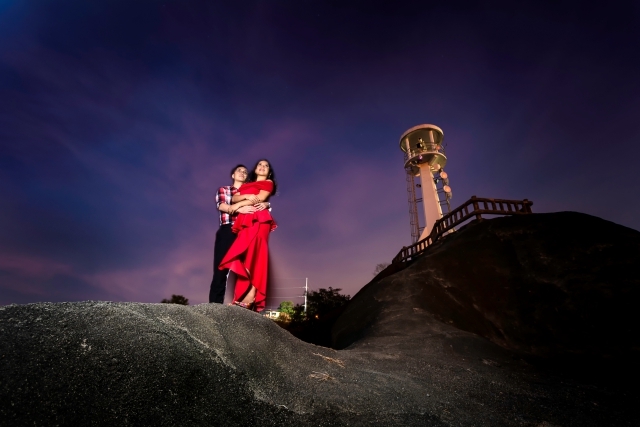 Finally, they also chose the lighthouse because they spent a lot of time in the board walk during their courtship days. During those moments, they’d walk by the beach and by the light house while exchanging stories and getting to know each other, losing track of time. The two had fun throughout the shoot, even if it was also tiring. Imagine, they went to six different locations just within two days. The couple is set to tie the knot this December. Congratulations and best wishes, John Paul and Desiree!